Hi, I am Kelly Pruitt. 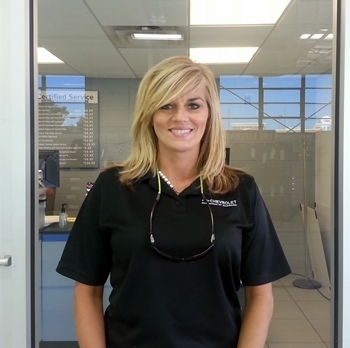 I am a service consultant here at Team One Chevrolet of Gadsden. I have lived in Gadsden my entire life. I love this town and the people here. I love playing softball and watching Alabama play football. I love talking on the phone. Most of my job consist of communicating with customers. I like people in general and love interacting with them. This is the place for me! Taking long walks, going to yard sales, collecting nik-nacks and playing softball.